They are demeaned and the perpetrators are smeared — normally emotionally and not intellectually. There is also an important distinction between a False Flag and a Hoax. Furthermore, there are limits as to how much any organisation of ‘truthers’ cannot be thoroughly infiltrated. It is worth realising that the very people who plan a hoax or a false flag may also be the ones who plan the cover ups and investigative committees, and so it seems that the questions are endless, or are they… ? 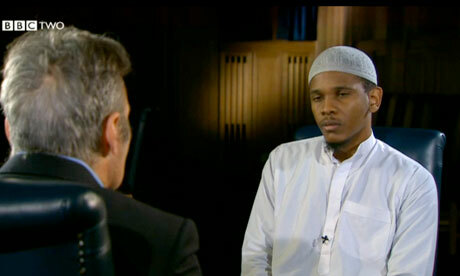 Woolwich London Killing: Terrorism or False Flag? Reports said two assailants hacked a British soldier to death. He’s been identified as Lee Rigby. He was killed in broad daylight. It was several hundred meters from southeast London’s Woolwich Royal Artillery barracks. Weapons included a machete type knife. Alleged attackers remained on the scene. They did so until police arrived 20 minutes later. Why wasn’t explained. Killers don’t usually stay around to be captured. Both assailants were shot and apprehended. They were hospitalized for treatment. One allegedly said “(w)e must fight as they fight us. 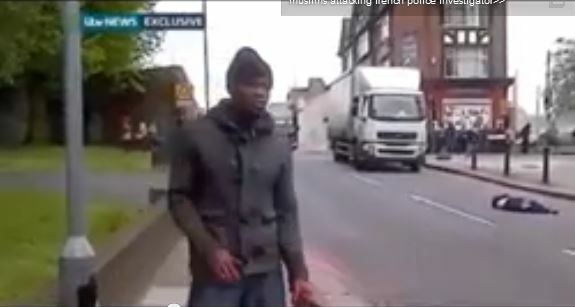 An eye for an eye, a tooth for a tooth.” Britain’s ITV news aired an edited video clip. Allegedly an onlooker filmed it. Reports called what happened the first domestic Al Qaeda-inspired attack since the July 7, 2005 underground (so-called 7/7) bombings. A series of attacks targeted the city’s public transport system. They came during the morning rush hour. They were for maximum disruption and casualties. At precisely the same time, an anti-terror drill occurred. It simulated real attacks. It was no coincidence. The real attack was a false flag. It was done to heighten fear. At issue was enlisting public sentiment to keep Britain allied with Washington’s imperial wars. No action was taken. Israel’s then finance minister Netanyahu was told to skip a London economic conference. He was scheduled to speak. Other officials were warned, not the public. Fifty-two people died. Over 700 were injured. These type incidents automatically raise questions. Answers are needed before jumping to conclusions. The timing of Wednesday’s killing is very suspicious. It comes when Washington, Britain, other NATO allies, and Israel head toward full-scale war on Syria. Secretary of State John Kerry’s traveling through the Middle East. A so-called June peace conference is scheduled. It’s subterfuge. Prior peace initiatives failed. So will this one. Demanding Assad must go assures it. Washington’s proxy war was launched to do so. Expect no change of plans now. Kerry met with foreign ministers of 11 so-called Friends of Syria countries and opposition group representatives. He discussed Syria with Netanyahu in Jerusalem. It’s considering a covert Syrian “proxy force.” It claims doing so will protect Israeli security. Israel’s armed forces are very able on their own. A so-called proxy force, if established, is clearly provocative. It heads things closer to full-scale intervention. Washington and Israel partner in all regional belligerence. They jointly plan and implement conflicts. Kerry’s trip coincides with Washington’s plan to ramp up support for so-called “rebels.” He demands Assad must go. He’s uncompromising. So is Obama. Full-scale conflict could erupt any time. Manufactured pretexts make it easier. False flags are longstanding pre-war tactics. They’re US/Israeli specialties. Britain’s an active co-conspirator. Muslim extremism was blamed for Wednesday’s London killing. We’ve seen this all before. Expect heightened Islamophobia ahead. UK, US, other key NATO allies, and Israel benefit most. They’ll take full advantage. True enough. He omitted explaining what appears most important. Washington and complicit allies manufacture pretexts. They did so to justify proxy war on Syria. It’s a short step to intervening full-blown. They’ve done it before. They manipulate public sentiment. They fabricated reasons to attack Afghanistan, Iraq and Libya. They’re doing so against Iran. They want public support. Stoking anti-Muslim rage enlists it. Post-9/11, Bush’s Afghan war was popular. Few knew what’s now more apparent. Fewer understood Washington’s imperial agenda. Multiple wars followed. New ones are planned. The entire region and beyond may become embroiled in conflict. Advancing America’s imperium matters most. At issue is creating pretexts to do so. Perhaps London’s incident is the latest. The fullness of time will explain more. Prime Minister David Cameron convened an emergency meeting. Top advisors and intelligence officials attended. UK Home Secretary, Theresa May, called an emergency Civil Contingencies Committee (COBRA) meeting. Cameron chaired it. It includes cabinet ministers and high-level security officials. It deals with terrorism and other major crises. COBRA refers to the room where committee members meet – Cabinet Office Briefing Room A. A terrorist alert was imposed. Heightened security steps were taken. These measures don’t commonly follow street killings. It doesn’t matter how gruesome. Most incidents get scant coverage. Many go unnoticed. This one suggests something bigger. What happened may be pretext for what’s planned. It remains to be seen what follows. Peter Eyre is a Middle East consultant, geopolitical analyst, investigative journalist, anti-war activist, and valued Progressive Radio News Hour guest. He jumped on the Woolrich incident. He discussed justifiable reasons to doubt the legitimacy of official reports. They have a distinct aroma. They fall short of truth and full disclosure. On May 23, Eyre headlined “Woolwich beheading: Security tightened at all London army barracks.” His detailed analysis includes images. “The gruesome scene of a decapitated actor with no police or paramedics at the scene and no blood,” he said. Key is calling the incident Islamic terrorism. Doing so automatically raises suspicions. Most often, the usual suspects are patsies. They’re props for planned state-sponsored mischief. Expect UK, America, Israel and imperial allies to take full advantage. Police state harshness may increase. Waging war on Islam will continue. Doing so full-scale against Syria appears likely. What’s long planned may erupt any time. UK media reports identified one alleged attacker. Twenty-eight year old Michael Abebolajo grew up in Romford. He comes from a Christian family. In 2003, he converted to Islam. A man who knew his family said they were very pleasant. Friends called him very quiet. In school, he was a good guy, they said. They were shocked to learn a former schoolmate faces murder charges. Latest Beirut Bombing Incident: “False Flag”? America’s War on Syria: Another Anti-Assad False Flag?